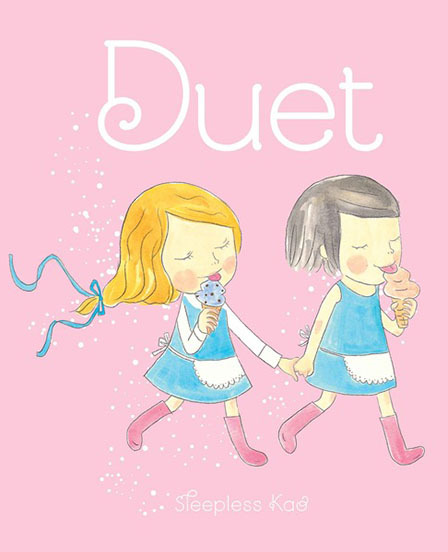 Bright, colorful, and showing our wondrous local talent here in Vancouver, these children’s books offer up light-hearted tales to explore and heart-warming characters to love. Some of these stories are timeless – as in the Cosy Classics series and Pussycat, Pussycat, Where Have You Been? – which both re-introduce readers to well-known plot-lines. Or, they could take a decidedly Vancouver twist, like the yoga-practicing cat in Kaori Kasai’s Emilie & the Mighty Om. Either way the literary results are a delight to the ear and eye, and show some of the creativity that blossoms in our lovely city. Happy reading! Rae Maté’s green and grinning crocodiles have charmed countless kiddos with their toothy smiles. 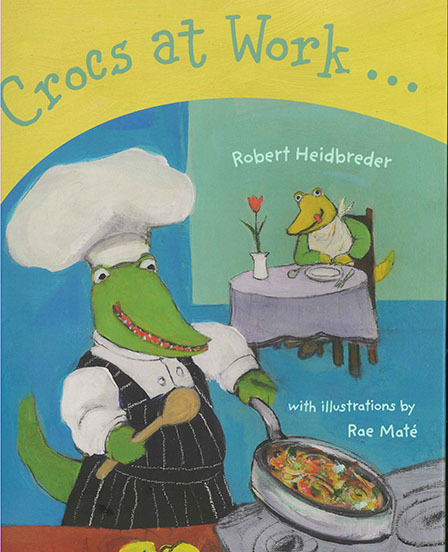 With children’s poet Robert Heidbreder, Rae has created three delightful books: Crocodiles Say… (2005), Crocodiles Play (2008), and Crocs at Work (2016). The artist has also illustrated the adventures of a world-wandering cat in Dan Bar-el’s Pussycat, Pussycat, Where Have You Been? (2011). Pussycat re-imagines the nursery rhyme classic, following a traveling feline to France, Australia, and beyond. At Arts Umbrella, Rae teaches Early Learning programs, including our popular Parent & Me classes. Oliver Twist. Star Wars. Pride and Prejudice. Somehow, through the magic of felting, brothers Jack and Holman Wang condense classics into a series of whimsical illustrations and a storyline told with only 12 words. Their Cozy Classics series of board books is as loved by adults as it is by little ones. 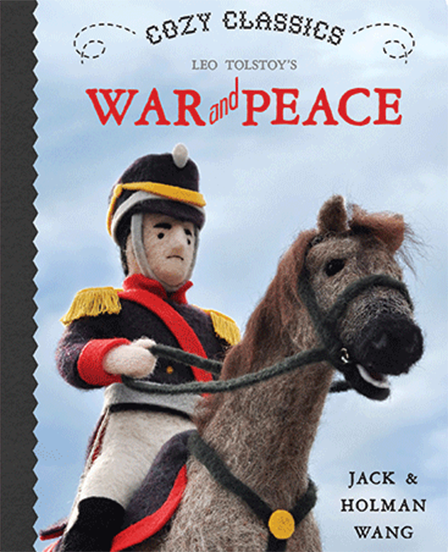 Parents also get to brush up on the classics with the included synopsis – perfect for those who never made it to the end of War and Peace. Writer and illustrator Kaori Kasai is an animator too, and it shines through in her delightful, enchanting characters that are so easy to love. Characters like Monchan, from Kao’s first book, who “wears a monster costume because she is very timid and cannot go out by herself. Wearing the monster costume makes her comfortable.” Kao has published three books with Simply Read Books: Monchan’s Bag (2010), Emilie & the Mighty Om (2014) – written by Sarah Lolley, and Duet (2015). At Arts Umbrella, Kao teaches a very talented group of young animators in the Electronic Arts Teen Animation Scholarship Program. 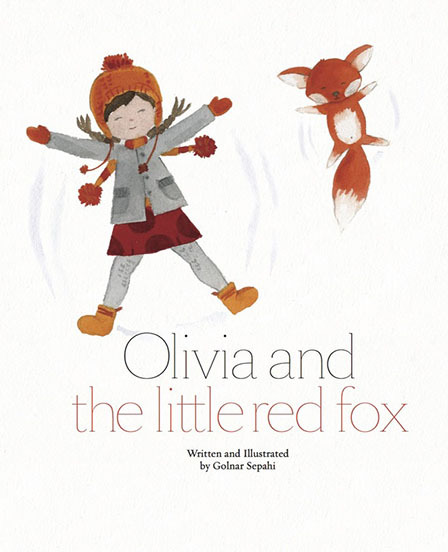 Golnar Sepahi crafts vivid, detailed characters, and her book Olivia and the little red fox follows two such characters as they form a new friendship. Golnar has a truly lively and inviting sense of colour. She has also illustrated The Adventures of Anoo and Pashmack by Salmeh Moghimi and The Rainbow Week by Emily Beierle-O’Brien, which is much-loved for its intense rainbow hues and educational story. In Bree Galbraith’s first and very well-received children’s book, young Theo loses a balloon but soon gains a fantastical tale of its whereabouts thanks to his big brother, Zeke. 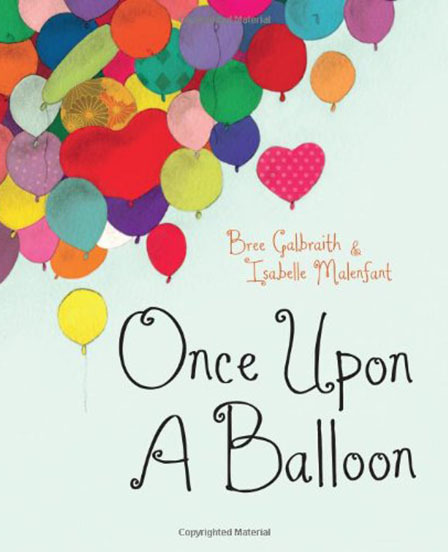 Once Upon a Balloon weaves a meaningful lost-and-found tale with the detailed work of illustrator Isabelle Malenfant.